Very good. Lovely fish too. It was a beautiful day up here in Scotland today, but alas I was working. Nice looking fish, I'm not hearing of any decent fish coming from my neck of the woods this season. 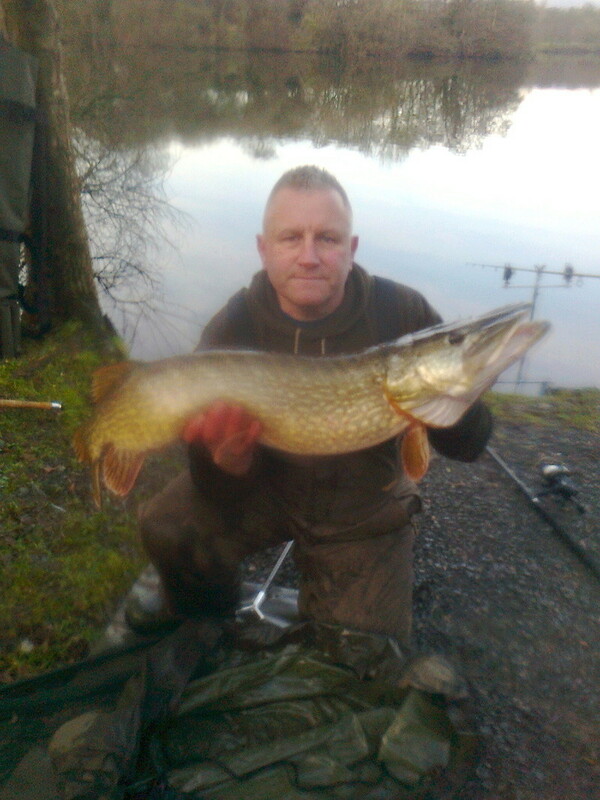 David Wynne wrote: Nice looking fish, I'm not hearing of any decent fish coming from my neck of the woods this season. Not been down since well before Xmas, every time I'm off work, the forecast for the wind is too strong. I won't travel down there nowadays if the wind is forecast above 25mph as inevitably the gusts will be much stronger and turn your brolly inside out and the white capped waves make it look like you could surf on it. David Wynne wrote: Not been down since well before Xmas, every time I'm off work, the forecast for the wind is too strong. I won't travel down there nowadays if the wind is forecast above 25mph as inevitably the gusts will be much stronger and turn your brolly inside out and the white capped waves make it look like you could surf on it.